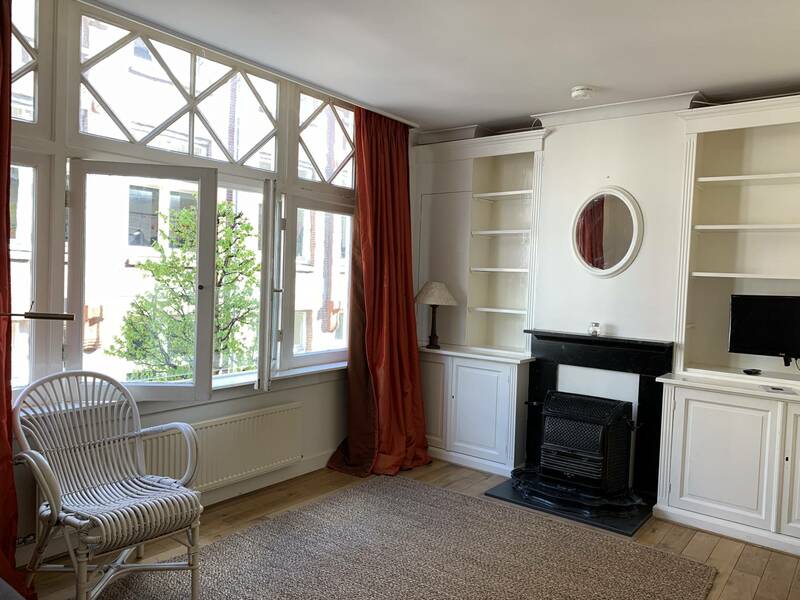 Furnished apartment with two bedrooms and balcony in the centre of Amsterdam. Entrance via private entrance and staircase to the first floor. On the first floor are the living/dining room and the kitchen. The bright living room is situated on the frontside of the apartment. The dining room is situated on the backside of the apartment and has french doors to the balcony. The kitchen is also situated on the back and is fully equipped (4-pits burner, combination oven/microwave, dishwasher, refrigerator and freezer). Via the internal stairs to the second floor where the two bedrooms, toilet and the bathroom are located. De spacious bedrooms are situated on the front and one on the back. The bathroom is also situated on the backside and has a separate shower, bathtub, washbassin and a toilet.